Tibetguru.com provides all Tibet travel and related services as well as, offering the most comprehensive Tibet Travel Guide and online Tibet Tour booking service. We've been in the business since 1959, so when you book with us you get experience, knowledge and diligence and you can be sure of the trip of a lifetime. Visit the must see attractions in 4 days. Immerse yourself in history,spiritual culture and nature beauty. Place of a trove of temples and pilgrims. Tour to Yamdrok Lake, the largest habitat for water birds in Tibet. 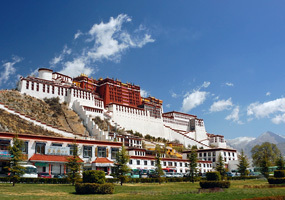 Admire landmark of Tibet and list on the world heritage. 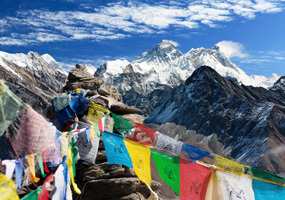 Feel breathtaking on Mount Everest base camp. World highest altitude temple- Rongbuk Monastery. Taste of authentic flavor in local restaurant. 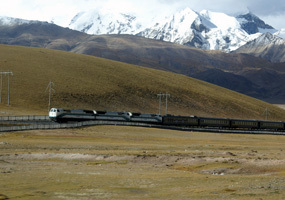 Experience the world's highest speed rail Qinghai-Tibet Railway. We base in Guilin and set out our Subsidiary office in Tibet, Our qualify local guides and experienced tour designers are true insiders who are commit to created a hassle-free tour for you. We are at the end of the phone 24/7 hours that make sure you have someone to contact while in China for any Konttytrouble or need help. You are not along in China. We PROMISE to refund if break our promise or something miss in the final confirmation, we are undertake a mission and it drive us to fulfill any of the detail itinerary and service. the best time to travel Tibet is between April and October, and peak season is from May to September. September August are rainy months. The process to apply Tibet Entry Permit and what kind of document and information you should provide. 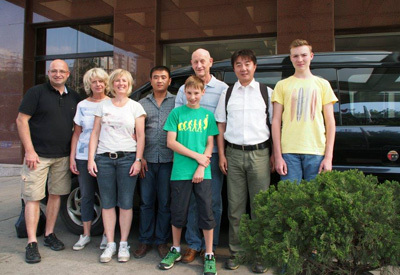 The precautions may help to prevent or lessen the effects of high altitude sickness. 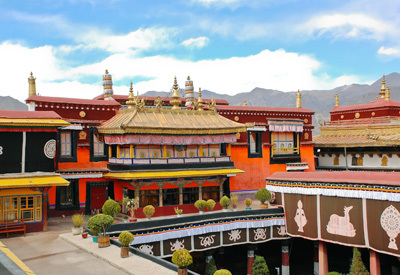 Tibet’s first palace Yumbulagang is located in the Yarlung River Valley near Tsetang Town. It was built by the first Tibet King Nyentri Tsenpo. 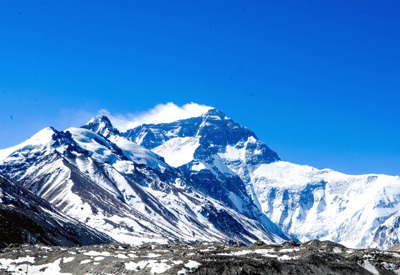 A rough guide of weather in Tibetan area, the precipitation of four seasons may help you to plan your tour. 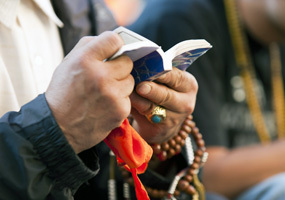 Get acknowledge about the unique Tibetan festival for all year round from Feb to Dem.